A new book, entitled Gas Adsorption in Metal-Organic Frameworks: Fundamentals and Applications, has just been published by CRC Press. 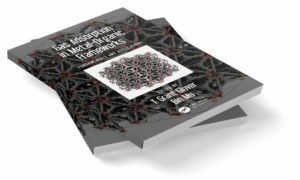 Edited by Dr Grant Glover of the University of South Alabama and Dr Bin Mu of Arizona State University – the book covers a number of different aspects of metal-organic frameworks (MOFs) and their gas adsorption properties and applications. Early chapters discuss the synthesis and characterization of MOFs, the thermodynamics of adsorption, diffusion processes, and the dynamics of adsorbent beds, as determined from breakthrough curves. Later chapters address the simulation of nanoporous materials and adsorption/diffusion, characterizing MOFs using a range of physical and chemical techniques, and their water stability, which is of fundamental importance in gas adsorption applications. The final three chapters cover the applications themselves, including gas storage, toxic gas filtration and removal, and gas separation. Chapter 9, on ‘Gas Storage in Metal-Organic Frameworks’, was co-authored by Hiden Isochema Product Manager Dr Darren Broom, together with Dr Jacob Burress of Avon Protection Systems Inc, Cadillac, Michigan. The first sections introduce the storage of hydrogen (H2), methane (CH4) and carbon dioxide (CO2) using MOFs, the materials properties required for gas storage applications, and the adsorption of these gases by different framework materials. The latter part describes, in some detail, the measurement of gas adsorption using the manometric and gravimetric techniques, and how to obtain accurate data. Gas Adsorption in Metal-Organic Frameworks: Fundamentals and Applications provides a comprehensive overview of the synthesis, characterization, and gas adsorption applications of MOFs. It should appeal to any readers interested in the topic, including chemists, materials scientists and chemical engineers, in both academia or industry. However, its coverage of the basics of gas adsorption by metal-organic frameworks, combined with discussion of the recent literature, should help new graduate students, in particular, gain an excellent grounding in the subject. Further details can be found on the Taylor & Francis and CRC Press websites.